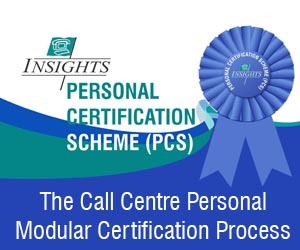 INSIGHTS has championed the idea of professional standards for call centre personnel in the region. In particular, we are the only provider of call centre manager certification programmes through our exclusive association with the CIAC (Call Centre Industry Advisory Council) and have developed our own metrics (consistent with international standards) for other call centre staff such as agents, team leaders and supervisors. 2) THE ANNUAL MIDDLE EAST CALL CENTRE AWARDS. INSIGHTS has instigated the Annual Middle East Call Centre 06 Awards. This year the prices for the winners include an all-expenses paid trip to the World Call Centre Congress in Seattle in September. The process to become a nominee in each of the 3 categories of Call Centre Manager Of The Year, Call Centre Of The Year and Call Centre OSP Of The Year is rigorous. Only the best will be able to reach this evaluation stage whilst others will become more aware of the steps they need to take, in order to enter the competition realistically. In summary, a win-win for the call centre industry in the region. 3) PACKAGED CALL CENTRE AUDIT OPTIONS. 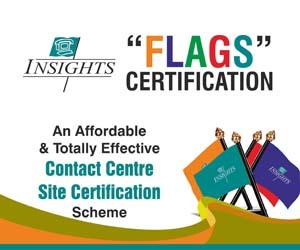 INSIGHTS is the region's only provider of Train The Call Centre Trainer courses. Starting with a foundation course, these programes, take capable trainers up to levels that INSIGHTS trainers themselves have to rise to. These courses and methodologies have been built from many years of experience by the staff of INSIGHTS and their access to the resources of their many world-class partners. INSIGHTS are themselves accredited providers and partners of the world's leading contact centre qualification programmes such as CIAC, and ICMI; this combined set of capabilities is unmatched in the Middle East. Mastering the procedural steps required to prepare a successful training session. Practicing how to maintain classroom control whilst encouraging feedback, learner participation, role-plays and group activities. Presenting with style (and often humour) to ensure that delegates stay involved and want to contribute. Handling problematic participants and the best ways to minimize their disruptive tendencies. Maintaining a balanced approach to individual assessment which collates quantitative and qualitative results fairly. Following this, more courses, evaluations and co-delivery sessions will allow students to become certified trainesr, able to deliver the key courses, by volume, in their own call centre. INSIGHTS' Middle East Call Centre Star Ratings systems is a dramatic new addition to ongoing Call Centre Performance Excellence in the region. Not surprisingly, we expect that many call centres will want to achieve as high a rating as possible here, and INSIGHTS has now put in place the mechanisms that will allow them to do this. In particular the ready familiarity of Star Ratings will allow senior managers to understand the performance of their call centre and allocate ongoing improvement budgets as required.